Password Protect Your USB Drive at It’s A WOMAN Thing! Cruzer Crossfire was my first ever “personal” flash drive, but an eccentric computer program crashed it. I emailed SanDisk USA for a replacement (still under warranty then) and they gladly replaced it. However, I didn’t get the same kind — what they mailed me was a Cruzer Freedom. It works well but I just loved the compactness of the Crossfire so I went to buy a second one in one of my trips to Singapore. I guess I’m not meant to own a Crossfire. Not too long after that purchase, a client borrowed it in order to transfer files from one laptop to another… and the next thing I knew, I already lost it. I had my most recent resume with photo and financial documents saved in there and that bothered me the most. I wished flash drives can be personalized or can be password protected. Some computer geek might have read my mind. 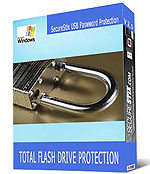 Just recently, I learned from a friend that a software has been designed to protect confidential files on a USB drive. It’s amazing because the files are locked and hidden from view, so a potential thief wouldn’t even know that they existed on your device or on the computer unless they had this software. And even then, they’d need your password to unlock it. How I wish I had this before I lost my Crossfire. You can’t buy peace of mind. If you wish to know more about this product or purchase the software online, click here.